Amazon announced this morning that Whole Foods customers in Virginia Beach can place orders through their Prime Now app or Alexa and pick up their order in as little as 30 minutes without leaving their car. The announcement says more cities will be added throughout 2018. This new program means no more roaming the grocery aisles and placing items into your cart. Someone from Whole Foods will assemble your order and bring it to your car when you arrive. It complements the Prime Now 2-hour grocery delivery service now available in 34 cities. To find out what services are available in a particular area, shoppers can go to the www.primenow.com or say, “Alexa, shop Whole Foods Market.” You can access this Alexa feature through any smart speaker that supports the voice assistant or through the Alexa app. Prime Now grocery delivery and pick-up services are important to Amazon in its push to grow grocery sales and leverage the investment in Whole Foods. This would be true even if Alexa didn’t exist. However, the services also offer an opportunity to highlight Alexa’s ease of use for common household purchases. There are many grocery delivery services offered directly by stores and independent companies such as Instacart, Peapod and Shipt. Numerous grocery stores also offer store pick-up for orders placed online. Amazon is no innovator in this category when it comes to online or mobile ordering with delivery or pick-up options. Alexa along with the integration with Prime are features that help Amazon stand out in grocery. Some of Alexa’s earliest features were adding items to a shopping list or placing orders through Amazon.com. Grocery represents a category that is both large and characterized by frequent reorders. 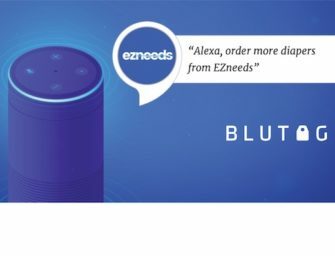 It is also well aligned with the convenience of voice ordering when a consumer notices they need a grocery item and an Alexa-enabled device is in the kitchen. Even more important, direct ordering through Alexa will directly tie more Amazon customers to Whole Foods. A national consumer survey by Voicebot and Voysis found that only 11.9% of voice shoppers had ordered groceries using a voice assistant in the past. This category ripe for growth and Alexa use can ensure the grocery store of choice is Whole Foods and not a competitor. The key for Amazon is to prompt consumers to start using Alexa for placing orders and start the habit formation process. A recent report by The Information cited anonymous sources that said Amazon’s internal numbers show only 2% of Alexa users had placed orders “so far in 2018.” There was no indication of what time period this information referred to (e.g. is it only 2% placed an order in January) or how it squares with several consumer surveys suggesting voice shopping trial by consumers is more than 20%. Regardless of the baseline today, Amazon definitely wants to drive more voice shopping through Alexa and grocery ordering with fast delivery or easy pick-up is a good option for shaping new consumer habits.